Wedding Venue Open Day in Brigstock at The Hill Farm House. Looking for a stunning country styled, rustic, vintage wedding venue? “Rajni” is a Raj style canvas Marquee with a beautiful lining which has come from India, I’ve named her after my gorgeous friend. 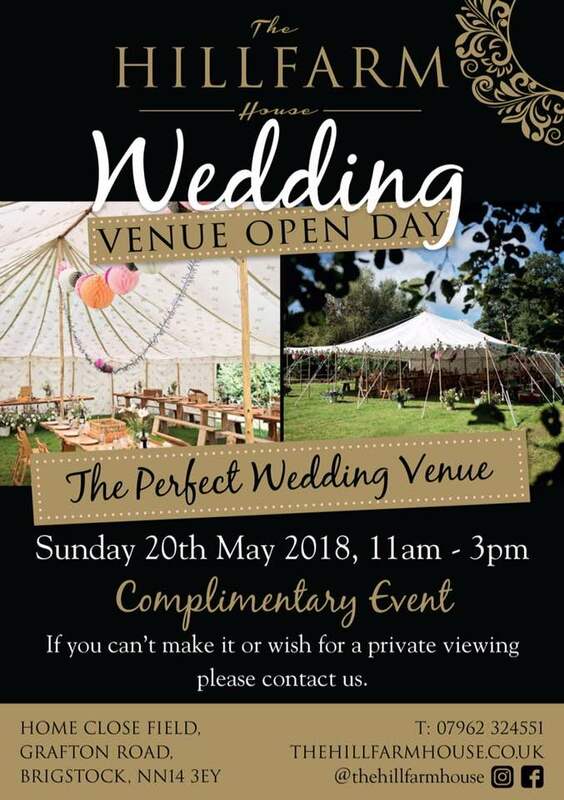 15m x 11m or 49ft x 36ft we are comfortable seating 120 maximum, welcoming catering from a picnic, hog roast or street food vendors in converted horse boxes to traditional wedding breakfast caterers. “Rajni” Marquee is yours to hire either in Home Close Field, Brigstock with power, water, fire-pits & most importantly a bar or you can hire the Marquee only for a location of your choice. 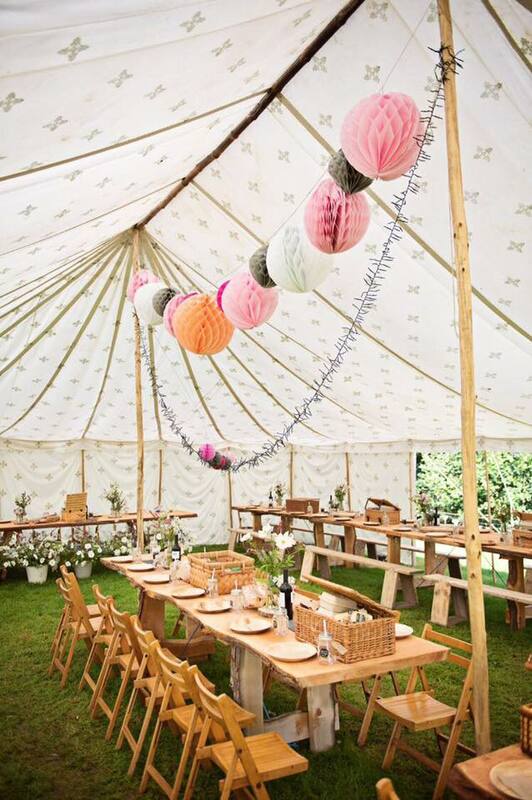 Choose to furnish the Marquee to suit your style, this can be hay bales, trestle or traditional round tables, the list goes on!